Regarding the initiative, Ms. Anika Effendi, Group Head External Relations & CSR at TPL Corp said, “Corporate Social Responsibility (CSR) remains at the heart of everything we do at the company. We give utmost priority towards the dignity for our employees and the stakeholders at large. 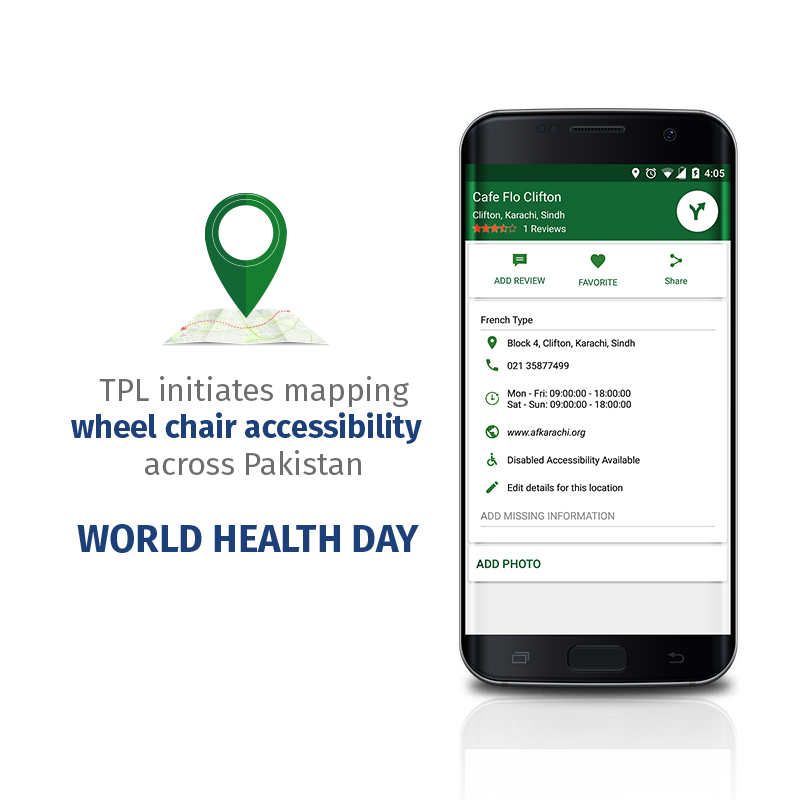 “Keeping this in mind, the TPL Maps team took this brilliant initiative in order to add value to people’s lives, recognizing the needs of others and making the app useful for the physically challenged in Pakistan. I take deep pride in this initiative taken by the company and look forward to the team and other businesses to follow the same direction, thus making Pakistan a better place to live in.” she added.